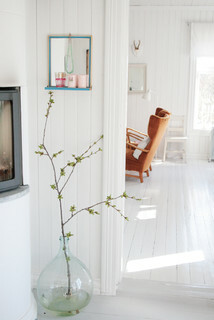 I was browsing www.houzz.com (a home décor site that I love) and was inspired by this décor idea featured on the site. 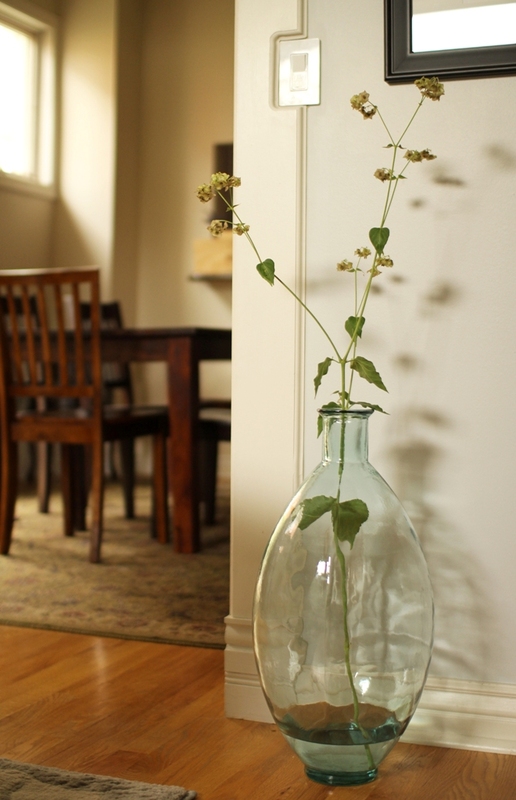 I loved the simplicity of a single branch in a large glass vase. It seemed so European chic to me. I set out right away to find a large glass vase that I could use to hold branches or large flower stems in my living room. The image on the right is my version.